I have a confession to make. I am quickly becoming a washi tape addict. 40% off sales at Michael's definitely don't help my addiction either. 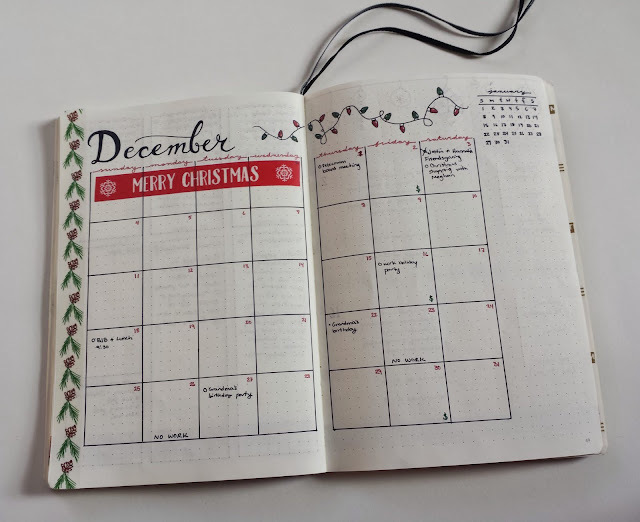 It sure makes for some adorable Bullet Journal monthly layouts for December though! 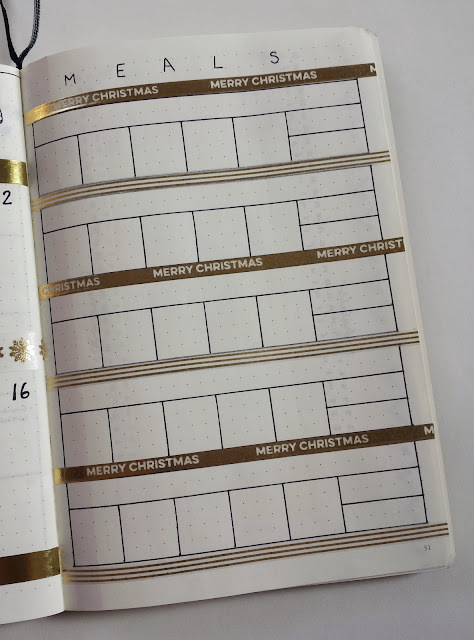 Brace yourselves for an explosion of Christmas-themed spreads! This is the third month I've used a grid layout for my monthly view. At this point I think the switch is permanent. I've really been loving the more visually appealing format. 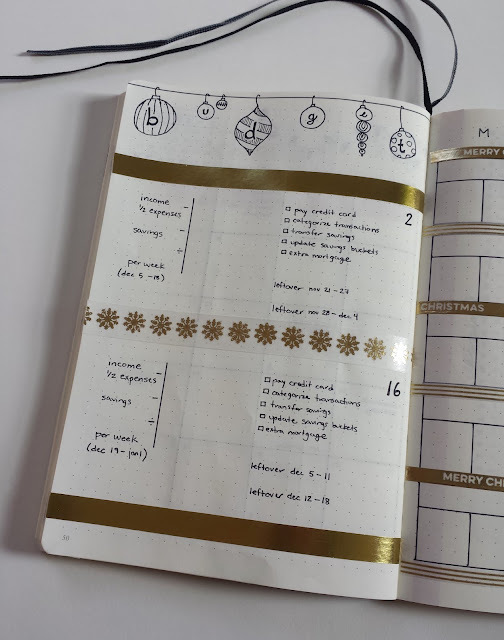 My budgeting worksheet has some cute ornaments and wintery washi tape to help my keep my spending in check before the holiday season. My meal planning spread I added last month definitely helped me make it through the crazy Thanksgiving season, and I'm happy to have it at my side for the coming Christmas holidays! 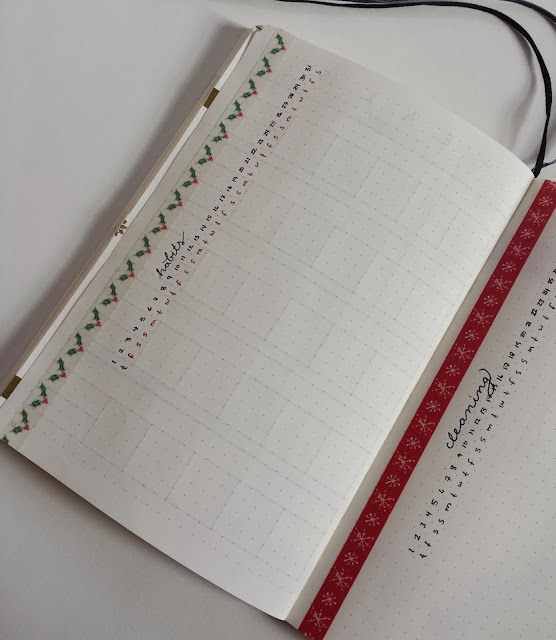 Nothing new with my simple habit tracker and cleaning tracker layouts this month -- just some cute holly and snowflake washi tapes! 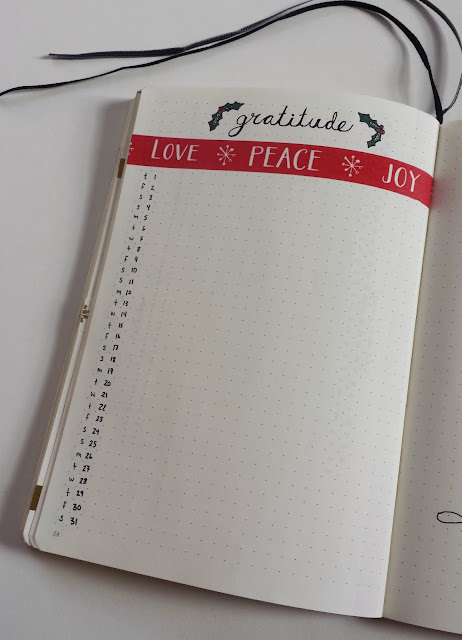 I love this washi tape for my December gratitude log! And my tiny holly drawings turned out relatively recognizable, so I'm happy. 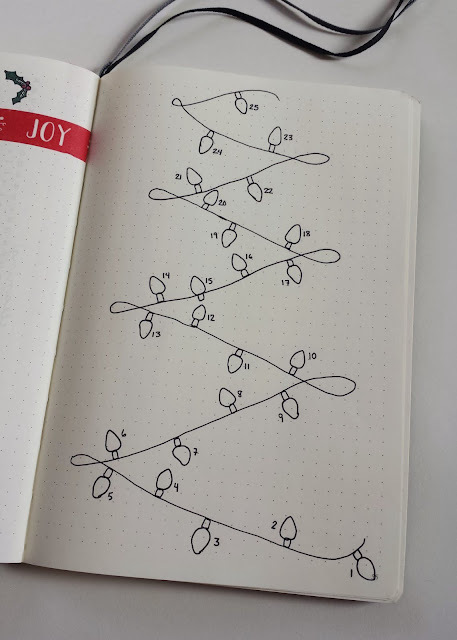 Last but not least, I have a fun way to count down to Christmas this year. Every day in December I'll fill in one of the lights, until it's finally Christmas day! I'm definitely looking forward to using this spread the most. I hope you all have a great start to this holiday season, whether you celebrate Christmas, Hanukkah, Kwanzaa, nothing at all or any other special time! Happy holidays!